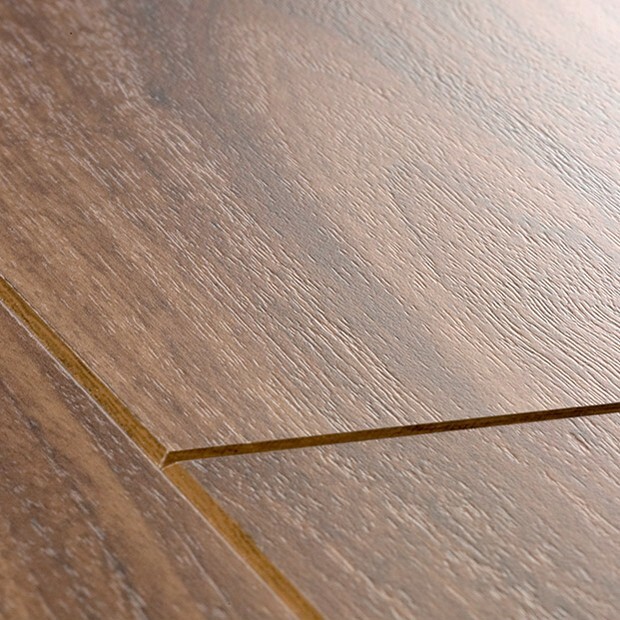 Fascinating lines and shapes seem to flow across the surface of these Oiled Walnut Planks UF1043, in a graceful dance that beautifully mimics the appearance of a solid wood floor. 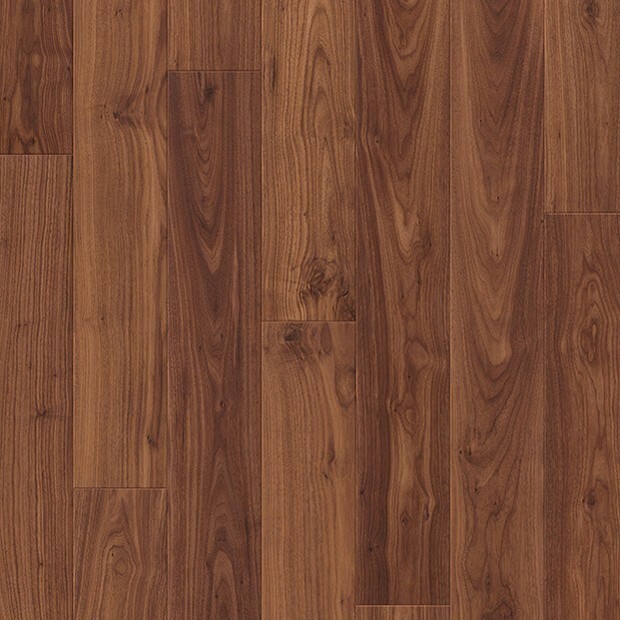 Part of Quick-Step’s Perspective 4v range, this laminate floor features 4-sided bevels and 156mm x 1380mm planks. 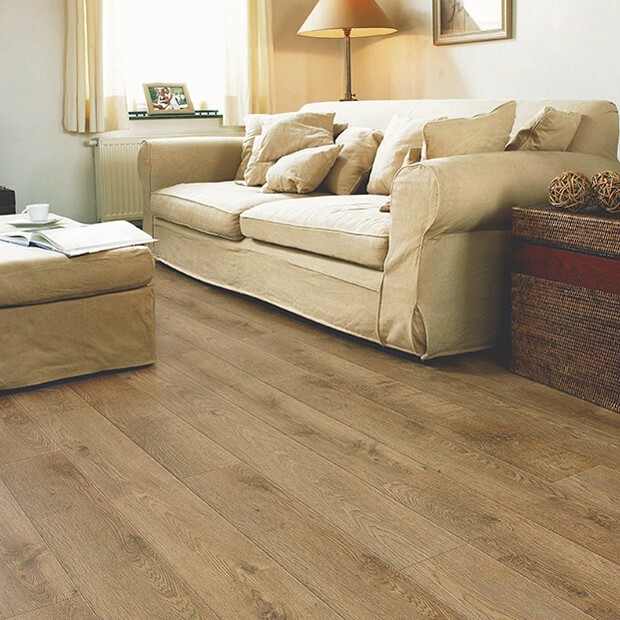 The 9.5mm thickness and the scratch-resistant surface guarantee that the floor will withstand the demands of a busy family home with children and pets perfectly. It is also easy to clean and to maintain and comes with a substantial 25-year warranty, providing great value for money, convenience, and stunning design in one product.